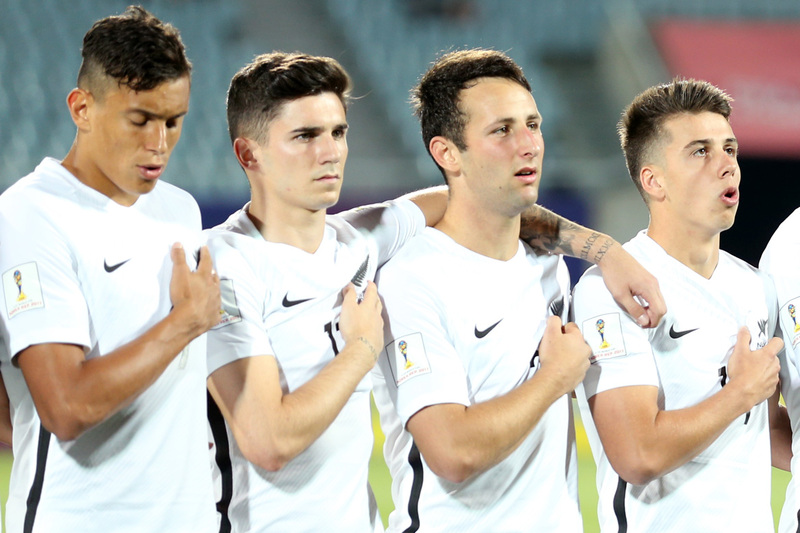 Despite the FIFA U-20 World Cup having kicked off in Korea Republic just a few days ago, New Zealand’s meeting with Honduras tonight is already shaping as a must-win for both sides with their prospects of progressing past the group stages on the line. Having picked up a point in a scoreless stalemate with tournament debutants Vietnam in their opening game on Monday, defeat for New Zealand would leave Darren Bazeley’s men with the unenviable task of needing to beat France – one of the favourites to lift the silverware – to have any chance of going through. The outlook is similar for Honduras, who were outclassed 3-0 by France first up and therefore need to take at least a point off the Kiwis to keep their hopes alive. While Honduras may not be one of the glamour countries of world football, the Vietnam clash underlined just how difficult games against less-fancied teams can be at this level and Bazeley knows his charges will be tested to the limit again. “We’re expecting another very tough game,” he said. As ever, Bazeley and his coaching staff – which includes former All Whites interim boss Neil Emblen and ex-All Whites goalkeeper Jason Batty – have studied their upcoming opponent meticulously and are well aware of the threat they’ll pose. “Honduras are not necessarily one of the big hitters in world football but they only lost in the final of the CONCACAF championship on penalties to the USA and we know the quality of the USA from last time,” Bazeley said. Bazeley and his side are looking to at least match the exploits of the 2015 squad, who made history on home soil by becoming the first New Zealand team to qualify for the knockout stages of a FIFA U-20 World Cup. Coincidently, New Zealand also opened with a nil-all draw back then – against Ukraine in front of a packed house of 25,000 at North Harbour Stadium – and their biggest setback was a 4-0 loss to the USA. Bazeley therefore needs no reminding of the quality of outfits hailing from the CONCACAF region. Unlike Vietnam, Honduras are no stranger to the FIFA U-20 World Cup having made 16 appearances since the event – formerly known as the FIFA World Youth Championship – was established in 1977. They took part in New Zealand two years ago but do not have fond memories of the occasion as their campaign ended in humiliation. After starting in promising fashion with a 4-3 win over Uzbekistan, the Central Americans suffered a 3-0 upset at the hands of Fiji before being swept aside 5-1 by Germany. Captained by Dylan Andrade, the key figure for Honduras is midfielder Jorge Alvarez, who the New Zealand defence must keep a close eye on after scoring three goals in six games and being named in the team of the tournament at the CONCACAF U-20 Championship, held in Costa Rica during February and March.